Richarlison gave the visitors the lead after seven minutes as he tapped home from Bernard's cross but Ricardo Pereira levelled with five minutes remaining of the first half. Wes Morgan was sent off for a second bookable offence just after the hour-mark and it proved the turning point as Everton made the numerical advantage count. Sigurdsson collected Kurt Zouma's pass before bending an unstoppable right-foot shot into the top corner to notch his 50th Premier League goal and help Everton move up to 11th, level on points with Leicester. Leicester: Schmeichel (7), Chilwell (7), Morgan (5), Maguire (6), Pereira (6), Amartey (5), Mendy (6), Ndidi (6), Maddison (5), Iheanacho (6), Vardy (6). Subs: Albrighton (6), Okazaki (n/a), Ghezzal (5). 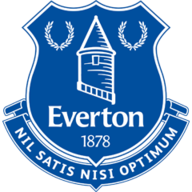 Everton: Pickford (6), Digne (7), Kenny (7), Keane (7), Zouma (8), Gueye (7), Davies (6), Walcott (7), Sigurdsson (9), Bernard (8), Richarlison (7). Leicester were unchanged from their 2-0 win at Newcastle, meaning that Kelechi Iheanacho retained his place behind Jamie Vardy. Marco Silva made one change to his side following the 3-0 win against Fulham as Bernard came in for his first Premier League start at the expense of Dominic Calvert-Lewin, who dropped to the bench. Leicester levelled when Everton were caught out from their own attacking corner. Pereira played a one-two with Kelechi Iheanacho before turning Jonjoe Kenny inside out and firing inside Jordan Pickford's near post. 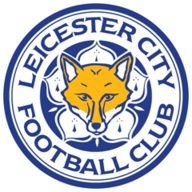 Leicester made the brighter start to the second period, with Ben Chilwell cutting inside before curling his shot a yard wide, but Claude Puel's men lost all momentum when Morgan was dismissed. 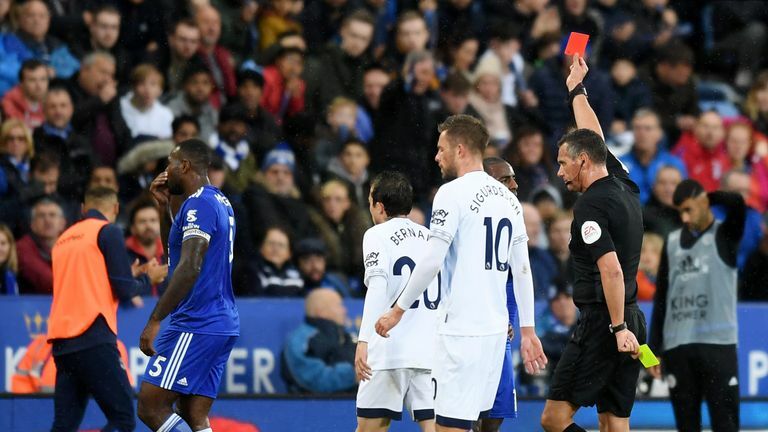 The captain had already been booked for an early foul on Richarlison when he caught the Everton forward once more, leaving referee Andre Marriner with little choice but to brandish a second yellow. Silva looked to find a winner as Cenk Tosun was introduced, moving Sigurdsson deeper - and the move paid dividends. The Iceland international picked up the ball 30 yards out before turning inside James Maddison and unleashing a sublime shot beyond Schmeichel into the top corner. Harry Maguire – It was an off-colour first half from the Leicester centre-back as he was sloppy in possession and fortunate not to be punished on more than one occasion. But in Wes Morgan’s absence, Maguire grew in stature as his valiant attempts to protect a point were only in vain thanks to Sigurdsson’s brilliance. James Maddison – Fresh from his first senior call-up, this was a quiet afternoon for Leicester’s creator-in-chief. He produced one fine pass for Jamie Vardy that the Leicester striker was unable to convert before he lashed at his only chance soon after Everton had re-established their lead. Hooked with 10 minutes remaining. Jordan Pickford – The Everton stopper had a much quieter afternoon than he might have expected given the quality in Leicester’s attacking third, but on the one occasion he was truly tested, the 24-year-old will feel he ought to have done better. Pereira found the near post with ease to drag Leicester level. Sigurdsson is now showing signs of the player for whom Everton forked out £45million two summers ago. The Icelander had already linked up well with Bernard during a lively start from the Toffees, and with Leicester reduced to 10 men, captain Tom Davies was withdrawn and handed the captain's armband to Sigurdsson. He took on the responsibility to grab all three points for his side with a venomous shot into the top corner, his fourth goal in as many games to propel Everton into the top half of the table. 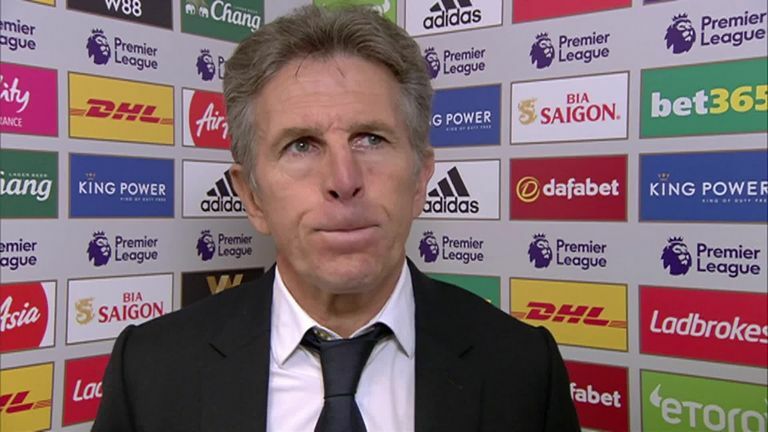 Claude Puel: "We played 10 against 11, but I think we had a feeling to go back and protect our box. It was not a good attitude from us, because we needed to continue playing our game. "We defended too deep and conceded a fantastic goal. We suffered, and tried to push at the end, we nearly scored in injury time [Daniel Amartey missed a free header from close range] but it was too late." 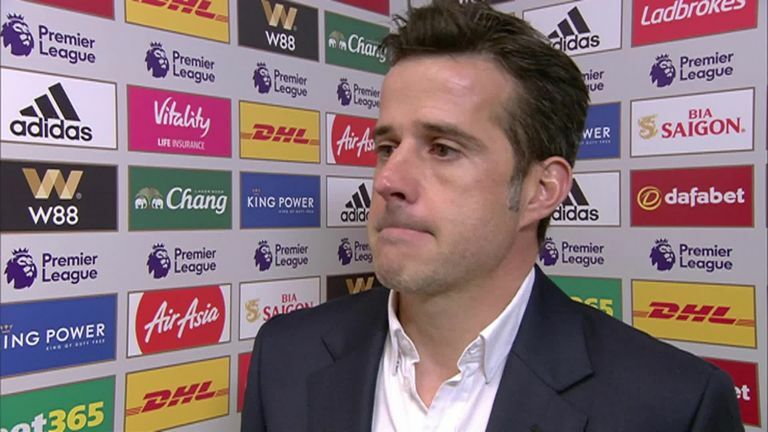 Marco Silva: "I've told our players we have many things we need to improve. We have quality inside. "Until now, I didn't have all my players available to work, but with all of them we will be stronger for sure. "Now is a good moment for the international break, and it won't be easy for us to work with so many players away. After, we will come back strong and have a tough match against Crystal Palace, but we have to do things our way." Paul Merson: "Morgan's red card was pivotal because Everton went on to win the game. The game was in the balance when he got sent off. "One yellow was a certainty but two yellows, I thought it was very harsh. The worst thing is they go on and lose the game because it was an even game up until then. Soccer Saturday pundit Paul Merson gives his thoughts on Everton's 2-1 win at Leicester. Everton have won consecutive Premier League games for the first time this season. Leicester have lost two of their last three Premier League home games - as many as they had in their previous 11 at the King Power Stadium (W4 D5 L2). Everton's Gylfi Sigurdsson scored his 50th Premier League goal, the second Icelandic player to reach the milestone in the competition (Eidur Gudjohnsen, 55). Everton midfielder Gylfi Sigurdsson has scored 19 Premier League goals from outside the box - no player has more since his debut in the competition (level with Philippe Coutinho). Leicester's Kelechi Iheanacho has been involved in four goals in his last four Premier League games (1 goal, 3 assists). Leicester captain Wes Morgan has been sent off in two of his last three Premier League games. He'd only seen red in one of his previous 137 in the competition. Leicester travel to face Arsenal on Monday Night Football in their next Premier League encounter. Everton meanwhile host Crystal Palace, live on Super Sunday, after the international break on October 21.